← -Revival is In the Marketplace? -What is it About the Marketplace? What is it about the marketplace that makes it an important venue for Revival? What is the marketplace anyway. Really the word in the context I am using it involves where we spend the majority of our waking hours. Our occupations, jobs, schools, businesses, markets, and shopping malls. American Christians have looked for revival in all of the wrong places. Churches, conferences, special tent meetings and etc. The church bound forms of revival are really church renewals- They are wonderful, I love them, and they are life changing and ‘body of Christ’ renewing. However they seldom if ever touch culture and the greater society as a whole. Nothing like the ‘Great Awakenings’ in the past. We really need to look for something greater and expect to be surprised. It is time for a revival in America to touch the very culture and places where we spend our days. What if the Holy Spirit descended at the office where you work – would it make a difference. What if people found themselves on their knees praying (unplanned) in a mall and everyone passing by was also touched and joined them –even those who don’t know what is happening to them and have never really prayed before? What would you call that? It has happened before in America in the 19th century when Finney went into the factories and businesses of NY City and 500,000 inexplicably came to Christ. 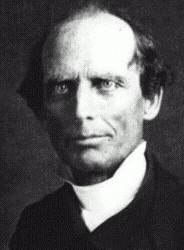 It is said that as Charles Finney merely walked through businesses hardened workers fell on their knees and responded to the Holy Spirit flooding the whole place. The whole culture of NY City was changed. We are now in the midst of a recession that is touching every business in America. I read yesterday that unemployment is now at 10.3% but that doesn’t include the other 9-10% that didn’t get a job in a year so they statistically dropped them from the rolls. The unemployment figures in the USA are really closer to 20% if not over. A lot of the prophetic folks I know and listen to are saying that it is going to get a lot worse before it gets better? Meanwhile the media and the politicians keep trying to put a good face on the economic and political mess we find ourselves in since they really don’t have a handle on it and don’t want to do the hard stuff that it will take to get us out of it. The problems we face economically are in the marketplace but what if revival came to the marketplaces in America would it make a difference? Would it change America for the better? I believe that the answers are obvious. Americans spend most of their lives at work and in the marketplaces and if God is really going to bring a Revival today in America that is where it has to go. This entry was posted in American Church, Awakening, Marketplace, Revival and tagged Revival in America. Bookmark the permalink. One Response to -What is it About the Marketplace? I think you’ve really hit the nail on the head in these last two posts. One of our major problems is that we see revival as something that we put on the calendar and have in church once or twice a year. It becomes a matter of bringing people to revival instead of taking revival to the people. However, I do believe that we must start within the family of God. This is particularly the case in the US where we seem to have grown somewhat complacent. If the Church could see a real renewal I think there is no telling what God would do in our land.